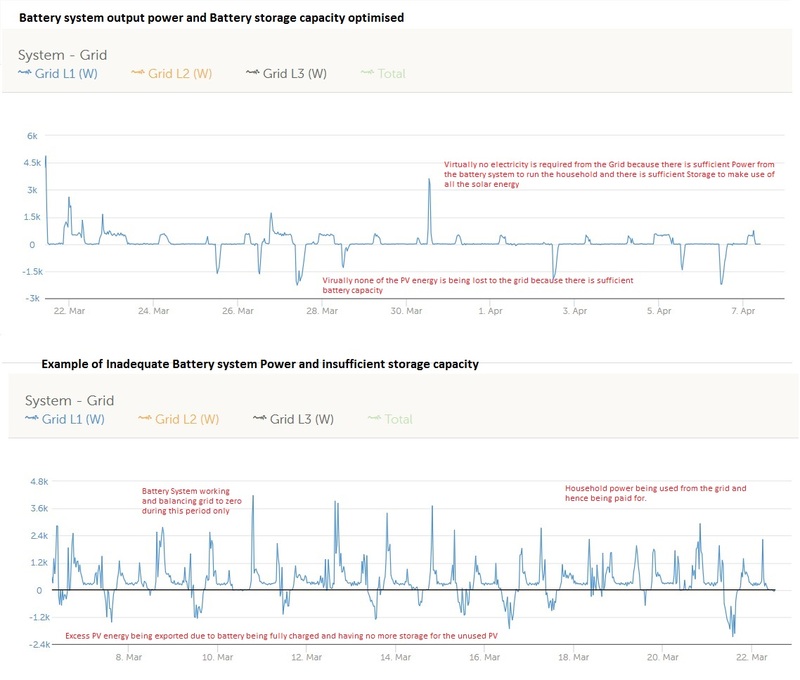 Large array of tracking solar panels. 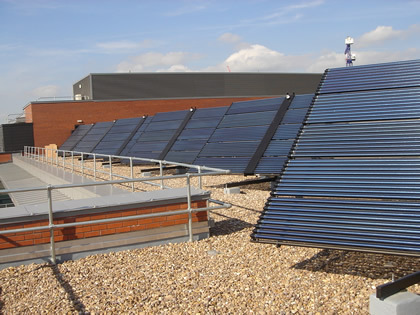 The solar heating systems constantly track the sun during the day to present the best possible face to the sun. 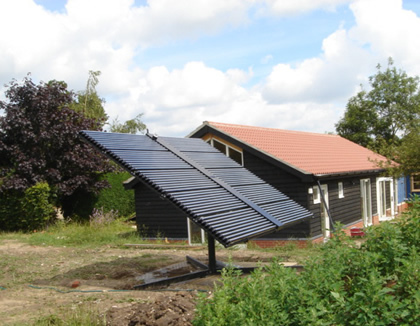 Using tracking solar panels the number of solar systems can be reduced while retaining a high level of heating. 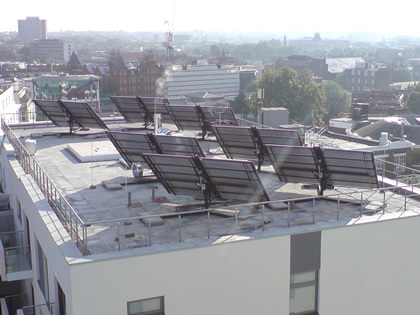 The image shows a system on top of an apartment block where there is a limited amount of space and the maximum solar gain is being achieved. 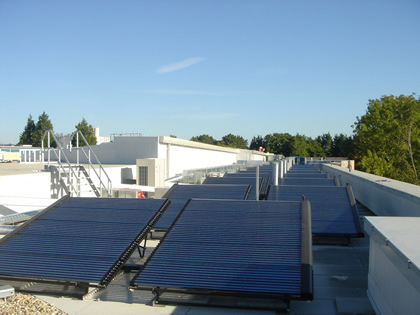 Large Scale Commercial Solar Thermal project utilising East Sussex based SolarUK's LaZerII solar Thermal Collectors to provide hot water. 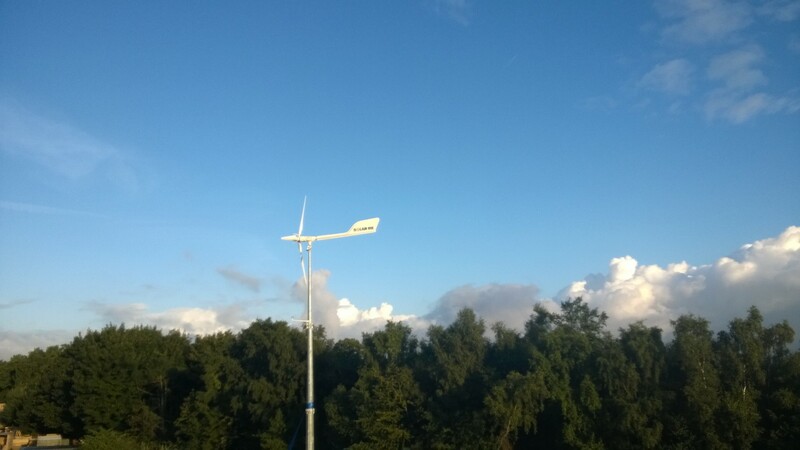 Using a tracking mounting means the solar collectors are always aligned and will gain the maximum solar heating possible. 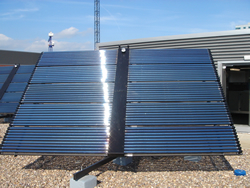 To gain the maximum from a solar panel it is ideally pointed towards the sun at an optimum angle. 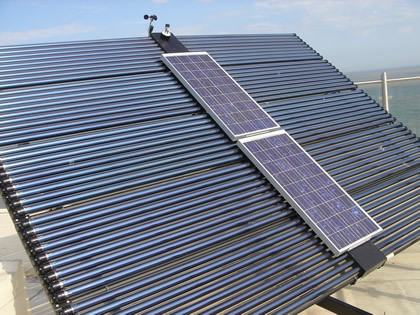 Using a motorized tracking system means the solar collectors are always aligned and will gain the maximum solar heating possible. 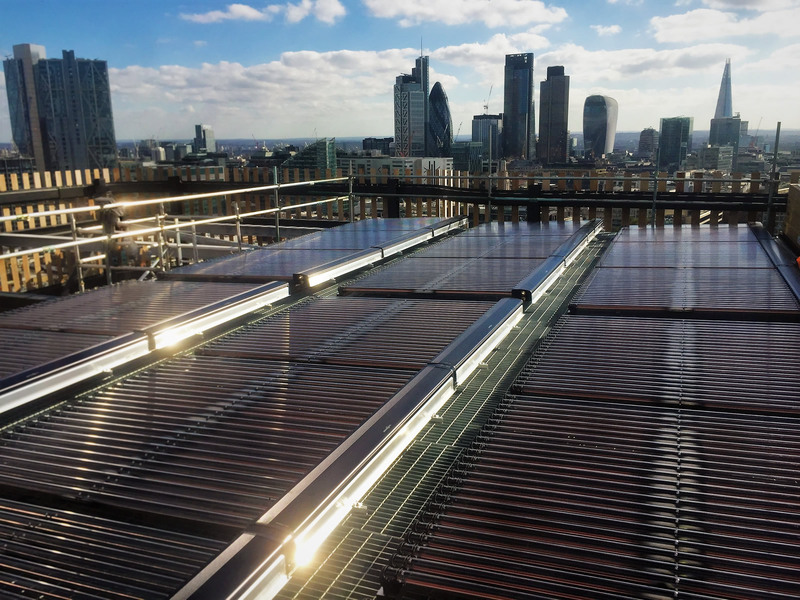 The image shows a tracking array of solar vacuum tubes with the addition of a Solar Photovoltaic panel covering the solar thermal system's manifold, otherwise unused for direct energy collection.